On March 22, guest speakers for the GAF 2018 Northwest Roofing Expo at the Tulalip Resort & Casino brought thought-provoking insights and remarkable innovations to teach all roofers in attendance the best they know. Robert J. O’Neill, of the famed SEAL Team Six and one of the most highly decorated Navy SEAL combat veterans, captivated a packed house with colorful illustrations of SEAL training and combat missions. 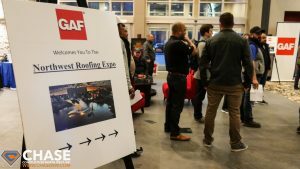 Of the many great vendors in attendance, some presented tools that are becoming widely used for this generation of roofing contractors, while others presented new tools that may become mainstays in the industry for generations to come. Jeff Brett and Larry Cargal gave two of the most informative presentations for us. They brought innovative strategies to the table that have led to success in their own careers. Skip-Sheathing as a Roof Deck? Cedar shakes have always been a popular roofing material, and in our area, it was the choice material the 1980’s and 90’s. Since then the composition shingle has taken off as the main material used. 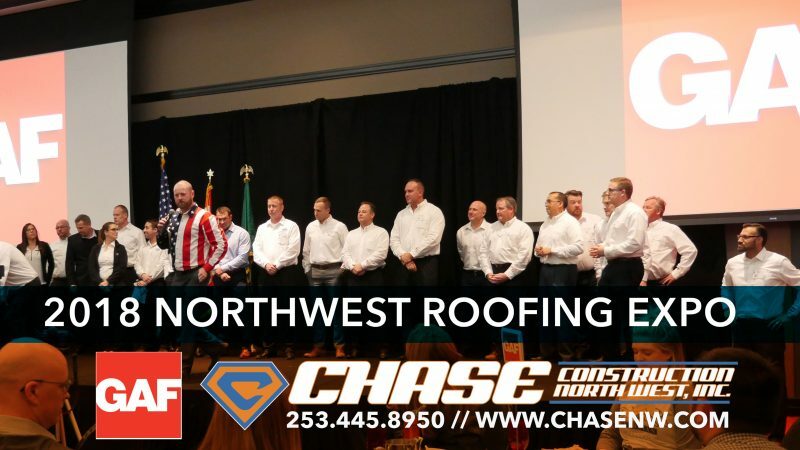 We at Chase Construction NW, Inc. are now looking at the end of life for many Cedar Shake roofs and have been busy converting them to more modern roofing applications. Proper attic ventilation is essential in every home. If your attic is not properly ventilated, heat and moisture can build up, causing your energy bills to skyrocket. Moisture may not be penetrating your roof, but humidity from your home can still be trapped in your attic, causing mold and mildew to grow, and be absorbed by the rafters and the roof deck, causing rot. 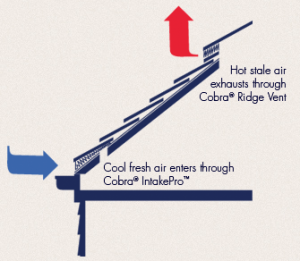 One popular solution for attic ventilation is soffit -ridge ventilation, such as GAF’s Cobra Intake Pro Rooftop Intake Vent and Exhaust Vent. This combination allows fresh cool air in and drives out warm moist air, promoting your homes energy efficiency. Since it is encouraging the exit of warm moist air, it also inhibits the growth of harmful mold and mildew, and prevents deterioration from roof rot. In addition, it prevents harmful ice damming on the roof during freezing temperatures. When installed with existing soffit vents, this system can improve attic airflow by up to 20%. Earlier this year, the home and building industry gathered in Orlando, Florida for the 2017 NAHB International Builders’ Show®. This year’s show demonstrated continued innovation and momentum in the home and building industry. 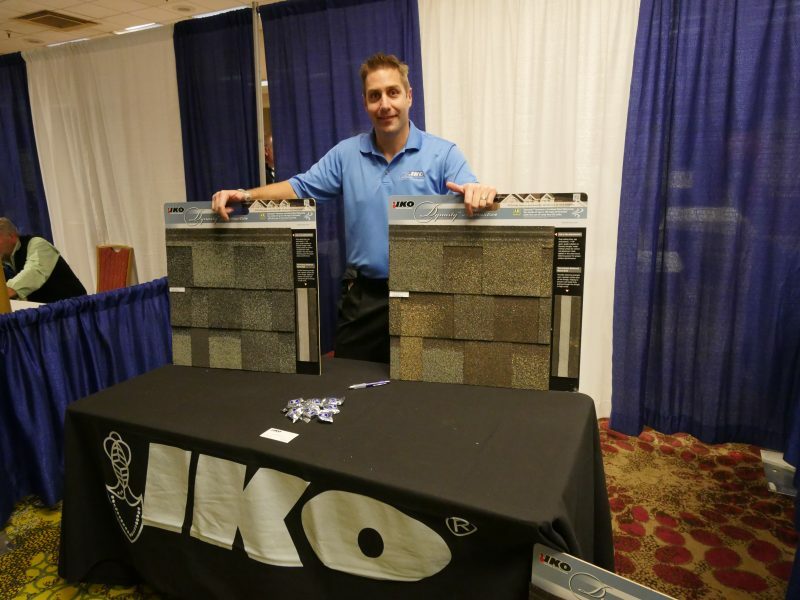 IKO gave a peak of it’s newest residential roofing products, along with a few of their popular premium, performance and architectural shingles. Let’s talk about what product innovations that IKO featured at IBS 2017. 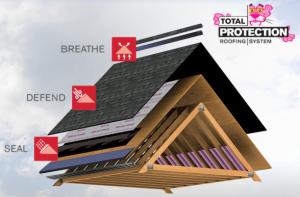 Pairing seamlessly with IKO’s popular premium designer and performance shingles, this newest addition to the IKO Pro4™ system provides enhanced aesthetics, roofline protection and ease of installation. 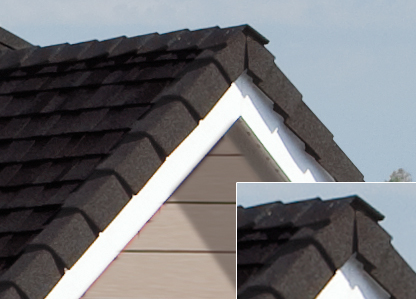 IKO Ultra HP Ridge Cap Shingles add a dimensional high-end look to your roofline, adding to the home’s curb appeal. This alternative to cut-up roof shingles protect this area of the roof while adding dimension, depth and texture. 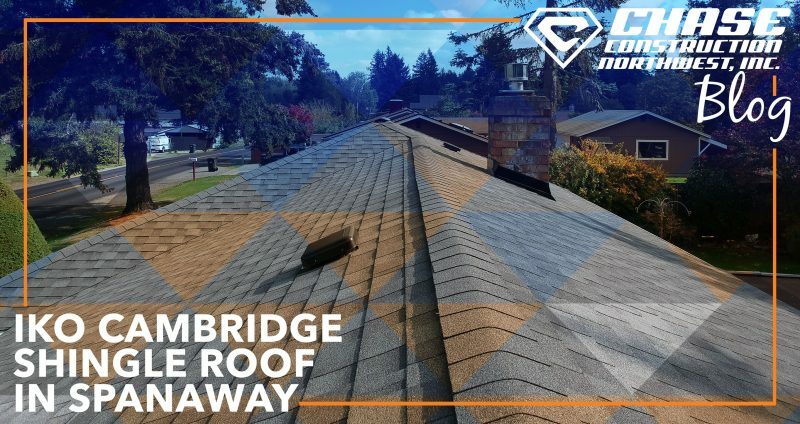 There are many components that go into a new roof, and the quality of those products contribute to the over all performance that you will get out of your roof. 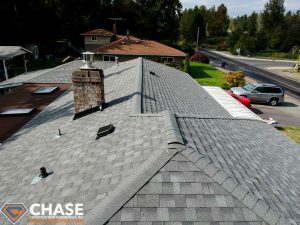 Let’s face it, it rains a lot here in the beautiful Pacific Northwest, and waterproofing is essential to any project when it comes to the roof. For this reason, one of the most important aspects of any roofing system is the underlayment. The underlayment is an extra layer of protection that goes between your shingles and the roof deck. This is an important aspect of any roof system because it protects the roof from penetrating moisture by shedding water away from the roof deck. It can also provide protection from rain while the shingles are being installed.